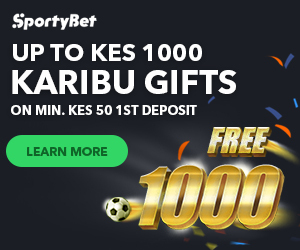 Sportpesa Todays Games 20-04-18. This match will look like an early promotional play off battle as Millwall and Fulham Clash at the Den. Millwall having played 43 matches is at position 6 with 69 points in this 2017-18 England Championship. They have won 18 times, drawn 15 times and lost 10 games. They have won 11 time, drawn 7 times and lost 3 times in their overall 21 home games played. Their last game played Sheffield United 1-1 away draw from home in their previous outing. So far in this season they have scored 55 goals for (GF), conceded 40 goals against (GA) and have remained with a goal difference (GD) of 15 goals. Fulham having played 43 matches is at position 3 with 82 points in this 2017-18 England Championship. They have won 23 times, drawn 13 times and lost 7 games. So far in this season they have scored 73 goals for (GF), conceded 42 goals against (GA) and have remained with a goal difference (GD) of 31 goals. The two side have meet a total of 7 times with Millwall recording 2 wins whereas Fulham has 2 wins and 3 draws for both sides. In the last 5 matches played they have managed 2 win for Millwall while Fulham has 3 wins and 0 draws for both sides. The recent game between Millwall and Fulham resulted in a0-1 win for fo Fulham at home. MILLWALL PREDICTED LINE UP: J. Archer, C. McLaughlin, S. Hutchinson, J. Cooper, J. Meredith, S. Williams, J. Wallace, G. Saville, S. Ferguson, L. Gregory, T. Elliott, A. O’Brien, S. Morison and F. Onyedinma. WHO TO WATCH: G. Saville is the leading top goal scorer for Millwall FC with 7 goals. L. Gregory has the top most assist and they will both feature in this match. WHO TO WATCH: R. Sessegnon is the leading top goal scorer for Fulham with 12 goals. S. Aluko has the top most assist and they will both feature in this match. The cottagers have a chance to push for direct promotion at the expense of Cardiff city but they have to win all their remaining matche to have a short at the and they will have a home advantage to see to that.